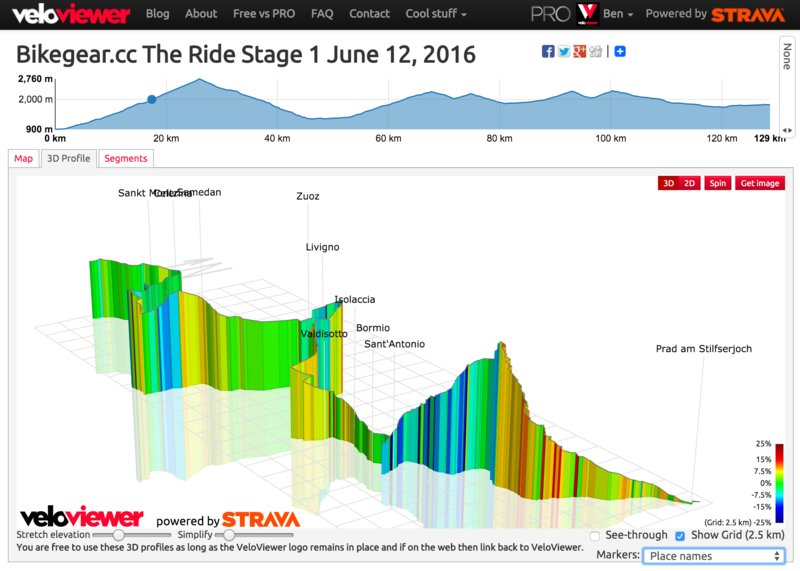 VeloViewer has always been able to show you comprehensive views of your past rides and runs but plenty of people have asked to see similar views of routes they are planning to do. 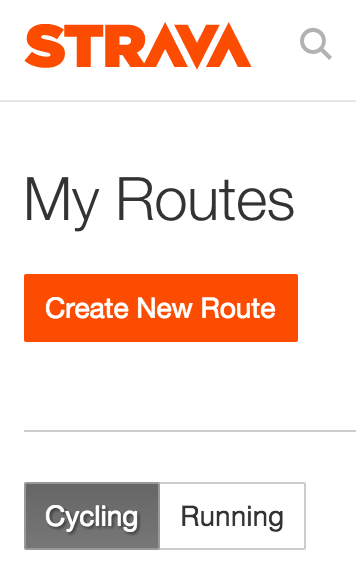 Fortunately Strava have just opened up their Routing API so now I can display all the routes you have created and allow you to see their full details including the interactive 3D profiles. The classic list page has been replicated but this time to show your Routes. These are pulled direct form Strava each time the page loads so there is no need to sync on your Update page. If you are a PRO (or PRO+) user you get to see all of your Routes, if not you are limited to 10. Other people will be able to see your public routes if you have chosen to make your data public in the Options section of your Update page. Your private routes will always only be visible to you. Note: Still work in progress. See below for to-do list. 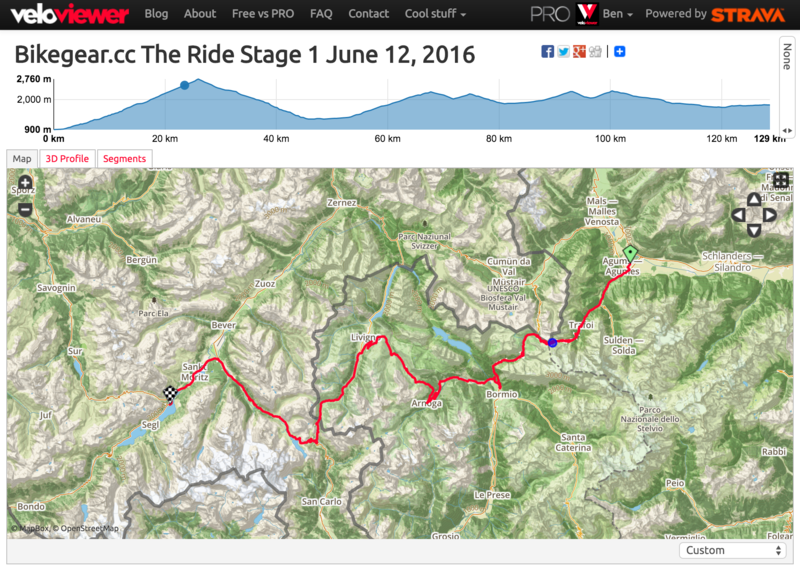 3D view with place name markers – yep, starts straight up the Stelvio! 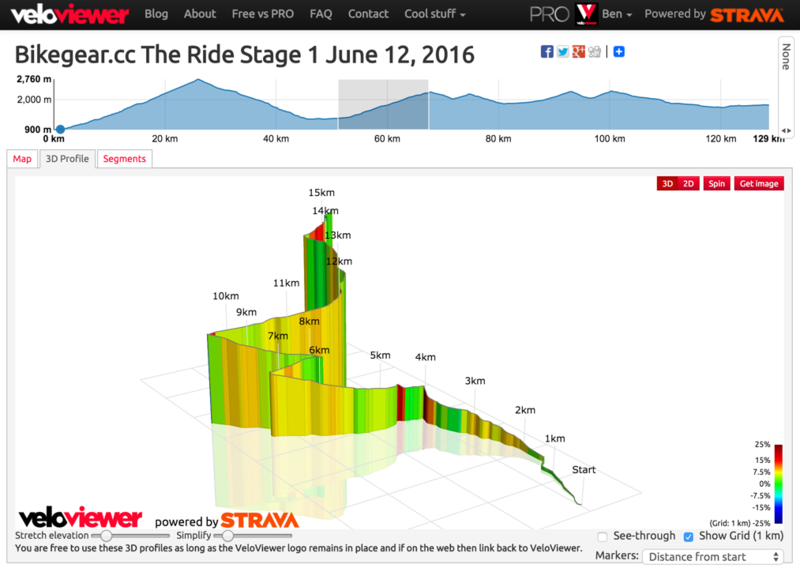 Bear in mind that the elevation data of Strava Routes is calculated rather than using recorded data so you will see a few crazy steep sections now and then where it gets things a bit wrong. Usually due to things like tunnels but also where the hillsides get very steep and the road doesn’t follow the contours of the elevation database precisely. I will look to retire the old Route page (that allowed the import of GPX and the use of the bookmarklet) and focus my effort in these new screens instead. Embed code to let you embed the 3D view (with optional map) on your blog. I love seeing the routes I have planned, but if could overlay the explorer squares as well so I can see if I have missing anything out before going on a ride that would be brilliant. Is it possible to visualise multiple routes together on one graphic similar to the wheel view? I’m planning a multiple day charity ride and would love that option ahead of actually riding the routes, cheers!